Safe House locksmith has car locksmiths in all of NYC that provide 24 hour emergency service for any Pontiac car key situation. Out automobile locksmiths are experts when it comes to Pontiac car key service for any of its car models. We provide immediate onsite service. Lost your Pontiac car keys? No problem. Need your car locks repaired? We’ve got you covered. From SoHo to Bayside, Safehouse Locksmith provides Pontiac car rekeying, car ignition repair, and transponder key service throughout all of NYC. We offer 24 hour emergency service on all vehicle lock-outs. Have you ever said to yourself: “Why did I lock my keys in the car?” You’re not the only one. Hundreds of people need lose their Pontiac car keys every day. We have many years of experience with helping drivers who have locked themselves out by providing car re-entry. We are equipped with the most advanced car locksmith tools and technology available so that we can get your car door open without causing any damage to the vehicle. Transponders are hidden inside the molded top of the key. In simplest terms it's a radio transmitter/receiver device that is programmed into the computer of the car. If the corresponding key to the computer is not used on the car, the car will not start. Losing transponder keys is a major problem if no spare keys are available. Some cars require the actual Engine Computer Module to be replaced, making it an extremely expensive adventure. A spare key could save you thousands. Our car locksmiths in Pontiac are equipped with all the computer programming equipment needed to duplicate your keys accurately, while you wait. No matter what kind of car you have, Safehouse Locksmith will provide car key replacements no matter what make, model, or year your car is. If you live in NYC or any of the five boroughs and require Pontiac car key replacement, feel free to call us 24 hours a day and we’ll get your keys replaced immediately. Want to change your car locks because you can’t find your keys? 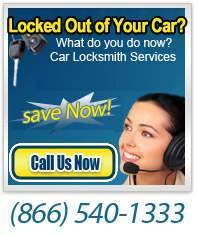 Our Pontiac car locksmiths have your new locks installed into your vehicle in no time. Our professional locksmiths are on call 24 hours a day for emergency situations. Safe House Locksmith has been providing locksmith and 24 hour emergency Pontiac car locksmith services in New York City for many years.